Our Michigan medical malpractice lawyers strive every day to provide the highest quality legal representation for our clients. 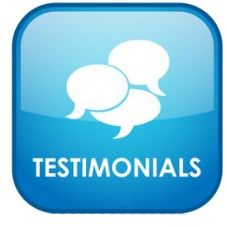 Below you will find real testimonials from actual clients we have represented in the past. Many of these clients have received large settlements for their injuries and are happy to share their experience by writing a review for us. Find out why we are the most trusted law firm in Michigan! Give us a call today at (800) 606-1717 if you have any questions or would like to speak with an attorney. Of course, it costs you nothing to get legal advice from our staff! Client: Devon Price Attorney: Randall Blau Case Type: Medical Malpractice Date of Review: Jan. 31, 2017 What Our Medical Malpractice Client Said About Us "I highly recommend Randy Blau. (He's) a great man, and a man of his word. Buckfire & Buckfire, P.C. are hard workers and will work hard to get what belongs to you!" Sincerely, Devon Price Lansing, Mich. Free Guide for Michigan Medical Malpractice Lawsuits The Ultimate Michigan Medical Malpractice Handbook details everything you need to know to chose your lawyer and file your lawsuit, and it is all explained in plain Enlgish. The book sells on Amazon.com for $14.95, however, if you request a copy through Buckfire & Buckfire, P.C. we will mail it to you absolutely free of charge. No shipping costs. Our free guide explains the Michigan medical malpractice laws in easy to understand language. You will eliminate hours of stress, confusion, and uncertainty simply by reading this book. Best Michigan Medical Malpractice Lawyers Our legal team includes the most successful medical malpractice attorneys in Michigan. Buckfire & Buckfire, P.C. and our lawyers have won the top awards in the legal profession, including: U.S. News & World Report Best Law Firms "Best Michigan Personal Injury Attorney" by American Lawyer Academy Named Top 100 Trial Lawyers in Michigan Honored as "Super Lawyers Top Martindale-Hubbell Rating (AV) for Skill & Integrity Our No-Fee Promise on Michigan Medical Malpractice Cases You can afford to have the best medical malpractice law firm on your side. It costs nothing to get started and if your case is unsuccessful for any reason, you owe us nothing. We promise you in writing: No money to get started We pay all case costs and expenses No legal fees whatsoever unless you receive a settlement Phone calls are always free, forever Start Your Michigan Medical Malpractice Case Today There are three ways to get started on your case. You can: Free Case Review Box on this page. We will contact you shortly. Chat with the online intake specialist and an attorney will be in touch soon. Call (888) 797-8787 any time of day to tell us about your case. Warning: There are strict time deadlines for filing Michigan medical malpractice lawsuits. Call us now to get started on your case and help you win the maximum settlement. On Nov. 8, 2012, Richard was admitted to the hospital because of a fall from a bed in the emergency room. He was left alone in the emergency room and tried to get out of bed to go to the bathroom and fell and hit his head at the temple. Richard passed away on Dec. 1, 2012. My sons and I called three other attorneys and they would not take a case against a hospital. When Richard's family called Buckfire & Buckfire, P.C., they took our case of neglect and fought for us and won for us a settlement for the neglect. We just wanted someone to take the responsibility for leaving him alone when he was a fall risk and somewhat confused. I have given two indivuduals your company's name and phone number. Thank you, Mr. Buckfire, for fighting for us. Sincerely, The family of Richard H. Lansing, Mich.
"They have stood behind us for the last four years after our daughter passed away and helped us gain some sense of justice after such a tragic loss. We could not have sought the justice we needed without them." I would highly recommend the law firm of Buckfire & Buckfire, P.C. to anyone considering pursuing a medical malpractice case. They proved to be Michigan's top-rated medical malpractice lawyers. I would highly recommend the law firm of Buckfire & Buckfire, P.C. to the parents of any injured children to anyone searching for a top medical malpractice lawyer in Michigan. Buckfire and Buckfire is truly a law firm that cares and works hard to get the results that are deserved. I would recommend anyone who has been seriously injured to contact Buckfire Law immediately for the help, support, and the legal guidance.